As a middle school student, I was entranced by ESPN’s annual airings of NFL Films’ “Super Bowl Memories”, a 30 minute recap of each Super Bowl, so at the time there were 11-12 hours of this series! I recorded them on VHS. I became quite an expert. Every scoring play, every interception or crucial goal line stand, it was included in those specials with a soaring score and dramatic narration. It treated a game of men running around chasing a leather ball like something of universal importance. One way to describe our worship on Sundays, is that it plays out highlights as well. These are highlights of God’s dramatic rescue that He orchestrated for us. We confess and receive forgiveness! We sing hymns about the Cross and our new life in Jesus! We cheer over baptisms—a “spike the ball in the end zone” moment in worship if ever there was one. And we cap it off with communion, Jesus Himself present with us. In this case, the subject doesn’t need selling as to its importance. God’s relationship to us is of utmost significance, so those highlights matter! So you always remember the highlights. And then there are personal highlights as well. 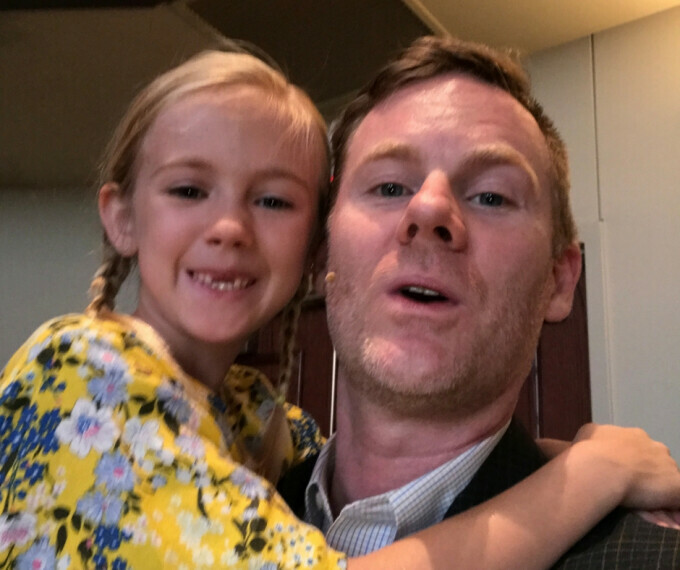 One that sticks with me from Father’s Day is belting out our worship songs with my 7 year old daughter. She loves to sing and when I challenged her to drown out my post-VBS croaky voice, she did her best! And we sang together about those dramatic moves that God made for our benefit. Can’t wait to participate in that again next week, replaying those highlights never gets old. Let’s do that together!